Are you struggling to get pregnant? Do you have PCOS? Don’t worry–it IS possible to get pregnant with PCOS. In fact, I Got Pregnant on My First Try with PCOS. How did I do it? And how can you, too, get pregnant even if you have PCOS? 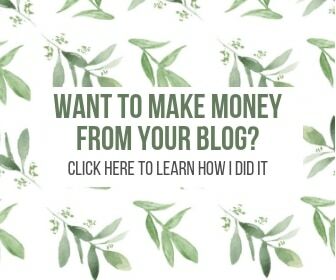 Take a look at this step-by-step guide to what got me here. Honestly, I never imagined I would be writing this post. Since the day I found out I had PCOS four years ago, I’ve been terrified that I was infertile. I’ve watched countless friends desperate to be mothers, worthy and deserving of and more than ready for a baby, struggle to get pregnant. I know how heartbreaking it can be. And I knew that I was predisposed to have trouble thanks to my PCOS. But four years ago, I also knew that I wanted to heal my body. And I wanted to do it naturally, to truly heal the root cause, to address the underlying issues, and not just slap a band-aid on my symptoms. I knew that wouldn’t work long-term, and I knew that if I ever wanted to get pregnant, I’d need to start getting my body ready now. Was I ready to start a family then? Hell no. I was 26 years old. Matt and I weren’t even married yet. I was nowhere near ready to be a mom. But I knew one day I would be, and I wanted to be ready, financially, emotionally, and physically. I had to get my PCOS in check. Well, that day came right before Christmas of 2017. Matt and I had been waffling for over a year on whether or not we were ready to start trying and we finally decided that it was time. So I checked my Glow app to see where I was in my cycle, and I started taking ovulation tests to confirm. Low and behold, a few days later I was ovulating. I’ll spare you the graphic details of what came next, but by January 11th, I had a positive pregnancy test in my hands. I couldn’t believe it. It was our first month of “trying” and I was already pregnant. I had PCOS and I got pregnant on the first try! How did I do it? And how can you, too, get pregnant even if you have PCOS? Take a look at this step-by-step guide to what got me here. Ok, I have to provide this disclaimer before we get started here: first, I share this information not to brag or rub my fertility in anyone’s face. 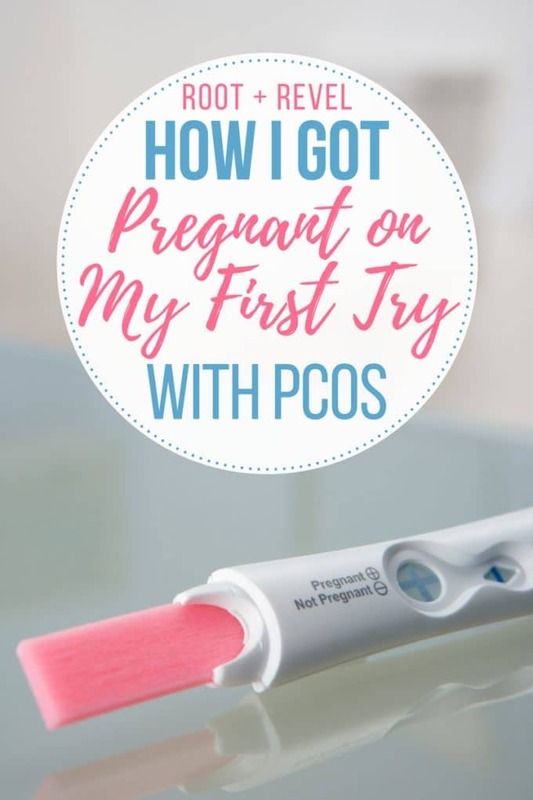 Rather, my goal is to show you that it’s possible to get pregnant with PCOS, that PCOS doesn’t have to take your fertility, and that natural conception CAN happen even if you have PCOS. Secondly, this is what worked for me. Every woman, every body, everyone’s experience is going to be different. Different approaches work for different people, and so I hope these tips will help guide, inform and inspire you. But you must take what resonates with you, what works best for you and do that. Get off hormonal birth control. Ok this one seems super obvious, I know. You can’t get pregnant while you’re on birth control… duh! But what I really mean here is to get off hormonal birth control long before you’re ready to get pregnant. I took my last “pill” in March of 2015 and it took over a year for my cycles to regulate, regular ovulation to occur and my body to be in a place where it was even possible to get pregnant. Not only can take some time for your body to regulate, but if you wait to get off the pill until you’re fully ready to have a baby, you’ll have less time available to heal your body than if you had discovered these issues earlier (when you weren’t masking what your hormones were doing with the Pill). It’s stressful enough working to heal your body without the added pressure of making of baby. Learn more about this here. Start following a real-food-based, anti-inflammatory diet. Food is the #1 way to heal your body naturally. Food is medicine. The right foods will nourish your body, balance your hormones and blood sugar, helping you lose weight, boost fertility and feel great. Likewise, the wrong foods can throw your hormones out of whack and cause your PCOS to flare up with all kinds of frustrating symptoms, like acne, anxiety, weight gain, PMS, and worse, infertility. Get the scoop on the best and worst foods for PCOS here. Track your cycle. Once you’re off all hormonal contraception and you can see what your cycle is really doing, it’s time to start tracking. You’ll want to know how long your cycles are, if and when you’re ovulating and where your fertile window falls, and how regular your periods are in the first place. 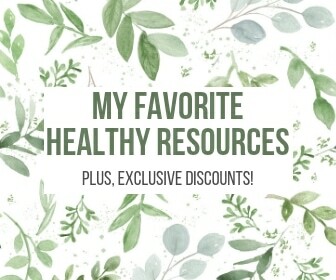 Here are my favorite tracking tools for boosting fertility. Confirm ovulation with test strips. While apps and thermometers and special tracking tools are immensely helpful when trying to get pregnant, the only way to be 100% sure that you’ve ovulating (and thus, that it’s a good time to try to conceive) is with ovulation urine test strips. Clearblue Advanced Digital Ovulation Tests were my favorite–it’s the only ovulation test that detects the rise in two fertility hormones before ovulation–estrogen and luteinizing hormone (LH)–with easy to understand digital smiley face results on the reader. With this information, you can try to conceive on your 4 most fertile days to maximize your chances of getting pregnant, naturally! Clearblue is the easiest ovulation test I’ve found to understand. Run a complete hormone panel blood test every 3-6 months. I’ve talked before about how important it is to see where your hormone levels fall at different phases throughout your cycle–without that knowledge, it will be really hard to target your specific imbalances with supplements, lifestyle and holistic remedies, food, etc. My naturopathic doctor runs a complete hormone panel (this includes everything from estrogen and progesterone to thyroid, testosterone, DHEA, etc.) a few times a year. While you can have your doctor run these panels, sometimes more conventional doctors are infuriatingly averse. I don’t understand their hesitation, but regardless, you still have options. My favorite: an at-home health test from EverlyWell. Their Women’s Health and Fertility Test measures 11 hormones that impact your menstruation, fertility, thyroid and weight. The instructions are simple, the blood test is a nearly pain-free prick of the finger (the saliva test just involves spitting into a test tube), and the results arrive in your inbox quickly in an easy to understand format, making treatment easier! Even better: you can test your hormones throughout the day AND at different points throughout your cycle, rather than just getting one teeny snapshot of what your hormones were doing at that exact moment in time. Since our hormones fluctuate all the time, this is really valuable to get a clear picture of what’s really going on. If you’re not sure how to interpret your results, Dr. Gottfried has an amazing hormone lab resource for optimal reference ranges. Treat underlying hormonal imbalances with natural supplements. Not the birth control pill. Not Metformin. Not Clomid. At least, don’t start there. Those medications will not heal the root cause and they come with a slew of side effects. Instead, rely on natural supplements to treat the underlying issues. Vitex, Evening Primrose Oil, DIM, Inositol and Maca are some of my favorite supplements for women with PCOS. Learn more about the best supplements for PCOS here. Ensure your thyroid is functioning optimally. This is crucial–so many women have undiagnosed hypothyroidism, which can contribute to infertility. If you have irregular periods, low libido, low body temperature, imbalanced thyroid hormone levels, anxiety/depression, and/or you’ve already struggled to get pregnant, your thyroid could be to blame. But don’t worry, treating hypothyroidism naturally is not only possible, it’s actually pretty easy! Read our complete guide to natural thyroid treatments here. Detox your life. Cleaning up your diet isn’t the only way to balance your hormones. In fact, the natural products I used (and the toxic ones I tossed) made a huge impact on my hormones and thus my fertility. Why? 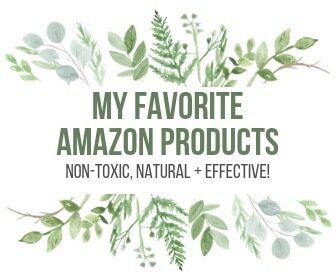 Did you know that nearly all of these products contain endocrine disruptors, fake estrogens and other harmful chemicals that mimic estrogen in the body, causing hormonal imbalances and infertility? It’s sad and scary, but true! So make the switch to non-toxic personal care, cleaning products, and cosmetics ASAP! 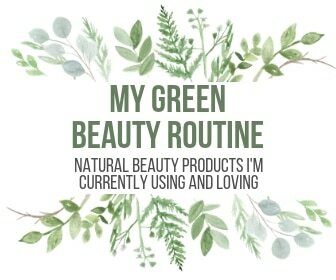 To help you get started, check out these DIY beauty and cleaning products, this guide to the 10 most toxic skincare ingredients, the best online natural beauty stores, and the 20 Best Natural Beauty Products on Amazon. Remember, the goal is simply to reduce your toxic load. You don’t have to be perfect, but by limiting processed foods and toxic and harmful chemicals, you will put yourself on the fast track to your most fertile self. Practice plenty of self-care. Cortisol (the stress hormone produced by our adrenal glands) affects every single one of your hormones, and your fertility depends on balanced hormones and nurtured adrenals. So how do you do this? With simple self-care strategies. Some of my favorite self-care techniques include meditation, yoga, Epsom salt bath soaks, massage, essential oils, and reading (particularly in the sun for 15 minutes a day to boost Vitamin D levels). It’s also helpful to consume less caffeine and alcohol. I have since switched to decaf coffee (with the occasional green tea or matcha latte), and I try to limit alcohol to 1-2 drinks per day, often skipping drinking altogether. Reverse any insulin resistance or imbalanced blood sugar. Insulin resistance is another issue many women with PCOS struggle with. What does this mean? Essentially, your blood sugar (fasting glucose and insulin) levels are way too high, putting you at a very high risk for developing Type 2 diabetes and increasing your risk of infertility. Cutting out refined carbs and sugar, focusing on healthy fats, fiber and protein, eating at regular intervals (especially first thing in the morning), and a couple of supplements (namely Ovasitol) help bring fasting insulin levels down. I personally was able to lower mine from 6.3 to a healthy 2.9. And my fasting glucose is now an ideal 88. While many doctors will prescribe Metformin to treat this kind of PCOS, there are all kinds of scary and dangerous side effects that come with the prescription medication, so I prefer to go the natural route first. You can learn more about insulin resistance here. Heal your gut. Our digestive system is at the heart of our overall health and wellbeing. In fact, the gastrointestinal (GI) tract/digestive tract—and the liver, pancreas, and gallbladder, plus a combination of nerves, hormones, bacteria, and blood –is so important, not just for breaking down our food into nutrients, which the body uses for energy, growth, and cell repair, but also for our nervous, immune and endocrine system. The latter being the glands that produce hormones that regulate sexual function and reproduction. So if you suffer from diarrhea, gas, bloating, constipation, abdominal pain and/or you’ve been diagnosed with IBS, IBD, Leaky Gut, Crohn’s, Colitis, Celiac or Diverticulitis, your fertility is likely affected. Heal your gut, boost your fertility. 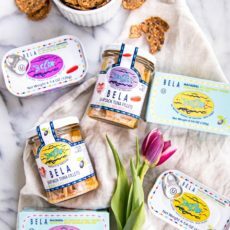 Good news: there are five main ways you can heal your gut and improve digestion naturally. Learn how here. As you can see, getting pregnant with PCOS isn’t exactly easy. And if your hormones are really out of whack, like mine were, it can take many months to get everything back where it should be. So be patient, don’t give up, natural healing is possible and it is so WORTH it. And, if you’re not ready to have a family yet, but you know you want one someday, I recommend starting now. I can’t imagine if I had waited to get off the Pill until I was ready to have a baby. It took me over a year to get my hormones balanced, and nearly two to get my entire body functioning optimally. It would have been devastating if, on top of all of that, I was struggling with fertility. I cannot stress enough how happy I am that I reversed my PCOS long before I was ready to have a baby. Because now, thanks to everything I’ve done for my body over the past four years, I’m pregnant. And I was able to get pregnant with PCOS on the first try!! And instead of struggle and heartbreak and worry, I was able to feel nothing but joy. I hope that for you, too! And I know you can do it. Don’t let any doctor, friend or family member tell you that if you have PCOS, you’re infertile. If I can, you can. Here’s to you, your resilience, your strength, your discipline, your health and your fertility. You got this! P.S. Because of the heartbreak and loss many women have experienced I want to take another moment to acknowledge them. Many women have lost children, have lost their mothers, or have struggled to get pregnant. If you are one them, please know that I feel indescribable empathy for you. I hear you, I see you, I know you, truly. I have many close friends and family members who have gone through similar issues, and I, too, have had my own struggles. This is what’s important to me right now and what I feel compelled to do, and I fully realize that it’s not for everyone and that some readers may feel hurt, offended, or just plain sad when they hear my story. And for that, I am truly sorry. That being said, I feel I would be doing a disservice to my audience to never talk about anything pregnancy, motherhood or fertility-related. I want women to feel seen, heard, and supported. And, to be totally honest, I feel I would be doing a disservice to myself and my family to tamper my excitement. This is a happy and joyous time for us, and while I absolutely want to be sensitive to others, I also want to ride those emotions. Life is hard and painful and a freaking roller coaster, so any chance we have to be truly happy, we should take, IMHO. Who knows how long it will last, ya know? Ok, that’s my schpeal. Thank you for listening, for understanding, for your support and for just being here. If you ever want to talk personally, please feel free to email me directly. « Previous PostButcher Box Review: Is It Really Worth It? Were you put on progesterone after finding out you were pregnant? No, my progesterone levels were healthy when I got pregnant so there was no need. I used fertilemd along with inositol powder and got pregnant the first month of using both times!! As someone who has PCOS and struggled with infertility, this was a dream come true! Wow! Congrats, that’s amazing! Thanks for sharing!! Hello! Thanks for the article. Did you stop taking the Insitol once you became pregnant? If so, how did you wean off? Did you also use Vitex? I completely agree with what you have written. As someone with PCOS myself I too got pregnant pretty soon. It took a few months of trying but being disciplined with your body really made a difference. In my case I kept my weight in check, my sugar intake in check and kept my body active and it made a huge difference. Hi, This is really a great share with such a useful knowledge. Putting your mind at ease and just focusing on stability indeed can help out the person to relax throughout and get fertilized. I completely agree with all the points you mentioned. Really a well-written post. Thanks so much Dr. Quinn–really appreciate your supportive feedback! Thank you for sharing. It is always nice to hear the success stories and gives me more hope. I only wish I would’ve known about my PCOS before we started trying to conceive. Other than infertility, I’ve had no symptoms. Thanks for sharing. Ooh, sorry to hear that Alisa, but I’m glad you have knowledge now so you can hopefully move towards better health + fertility. Wishing you the best! Thank you for sharing this information that will help so many women, and – perhaps even more importantly – celebrating your JOY and not dampening your excitement! I so love and appreciate your empathy and compassion for others, and 100% agree that you’d be doing yourself and others a disservice by keeping this all to yourself. Cheers to you, Kate!